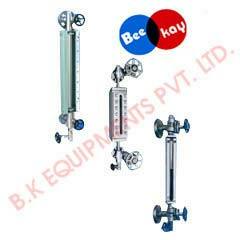 Our offered Glass Level Gauges finds use in pressure vessels, tanks, and boilers. We offer these gauges in two variations, the tubular form which can be used in low-pressure tanks or vessels and the reflex and transparent gauges for use in high-pressure tanks or vessels. Our efficient delivery team ensures timely good condition delivery of orders in India and abroad.